Nowadays, people share interesting videos on Facebook. Some FB users want to save these amazing videos on PC or Mac. But, they don’t know how to download facebook videos to your phone or pc. Here we’ve picked some best tools for downloading videos from Facebook. YouTube is the most popular video hosting ever. YouTube hosted videos every subject from educational how-to guides, funny videos, music, movies, TV series and other stuff for your own taste. However, there are also many nice videos on Facebook that you won’t find on YouTube. There are many great tools available to download FB video and save your computer, phone, tablets or whatever devices you have. Here we list something best and most people used to download free facebook videos. So, scroll down and see each Facebook video downloader we put here and choose your favorite tool or quick downloading facebook videos methods easy to use for you. 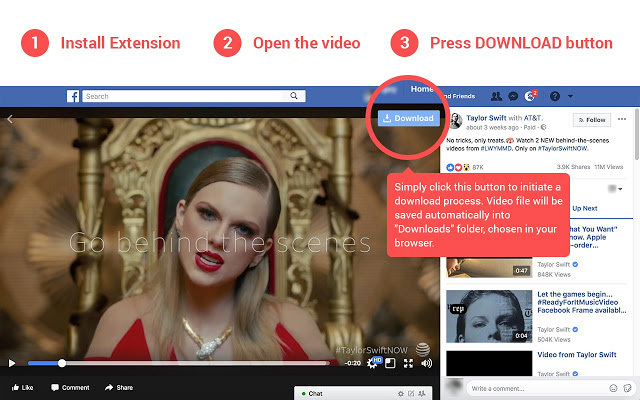 Social Video Downloader is free Chrome Extension to download Facebook videos on PC or Mac. You can do it one click to download FB video directly from Facebook.com in HD quality to your desktop computers or laptops. FBdown is the best free online tool download Facebook videos on PC or Mac. You can easily save a video directly from Facebook to your computer or mobile without any Software. FBdown provides a Video Downloader Chrome Extension that makes much easier to do. It downloads and converts Facebook video to mp4 format. KeepVid is another great online tool save video from Facebook. You go to KeepVid site and paste your Facebook video link on the box. And then click Download button that is your video saved on your computers. You would like to download online videos using a software. Freemake Video Downloader is the right for because this free software lets download FB videos simply on your devices. It offers a wide range of output formats. You can save your Facebook video in MP4, MP3, AVI, FLV, 3GP, MKV, WebM or for mobile gadgets (iPhone, iPad, Android, PSP). So this is the easiest tool convert facebook video to mp4. Click this option to download the Facebook video. MyMedia is free iOS app that allows to save a video from facebook to your iPhone and iPad. Then tap Media icon in the bottom of the app to check your new video. Long tap the video to see the option. 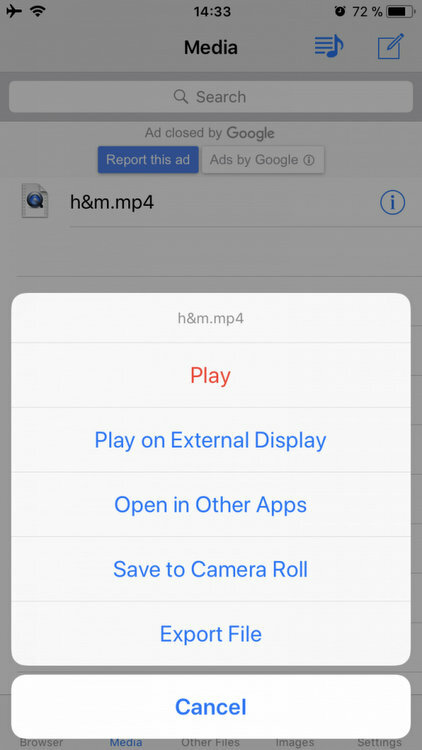 Tap the Save to Camera roll if you want to have your video there. If you have a Mac laptops or iMacs, here are some options for you to save FB videos. Savefrom.net is another best online tool like KeepVid so you can download Facebook videos for free on your Mac. iTube Studio is the premium software. There are a lot of free alternatives available for downloading online video. Elmedia Player PRO is also paid program like iTube Studio. Video Downloader for Facebook is a free Android app to download Facebook videos on Android devices. Tap to download a video.